Why is Green Pricing a Premium When Wind Power is Cheap? Ten years ago, a North Dakota cooperative stopped charging customers a premium for getting energy from the wind, because they found it wasn’t costing anything extra. The cooperative, like many utilities, used a “green pricing” program that allowed customers to voluntarily pay more to get their energy solely from renewable resources. Dozens of utilities still use such programs, and the Top 10 programs alone have over 400,000 utility customer participants. But with renewable energy at record low costs, why is anyone paying extra? As an illustration, let’s examine Xcel Energy’s Windsource green pricing program, the 3rd largest in the country with nearly 100,000 participants. 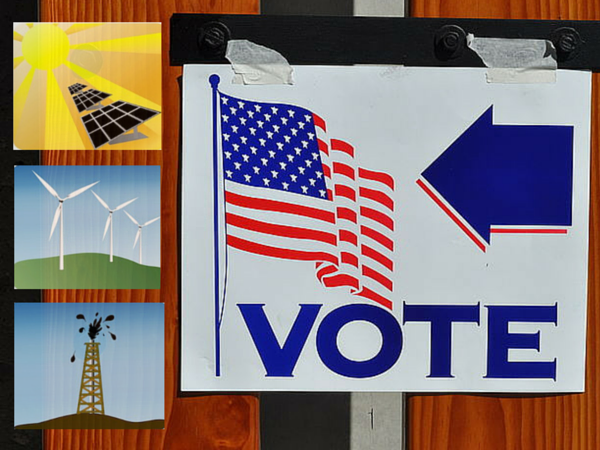 It currently charges a premium of $0.85 per 100-kilowatt-hour block of electricity (in Minnesota). 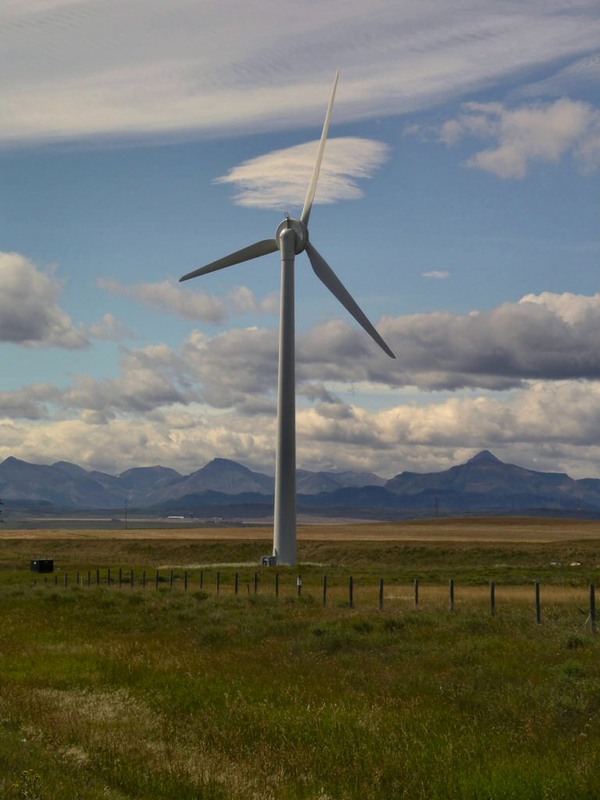 In their own words: “For an average home using 800 kWh in a month, that would total just $6.80/month to be 100% Windsource-powered.” Put another way, for the annual output of a single 2-megawatt wind turbine (about 6.1 million kilowatt-hours), Xcel is charging their customers a little over $50,000. And yet, according to data from the Lawrence Berkeley National Laboratory, wind energy provides nearly the cheapest electricity to the wholesale electricity market. In fact, for contracts signed in 2013 and 2014, the average cost of electricity from wind (about 2.5 cents per kilowatt-hour), was the same or lower than the wholesale energy cost for the Upper Midwest, as measured by the regional grid manager, the Midwest Independent System Operator (MISO). 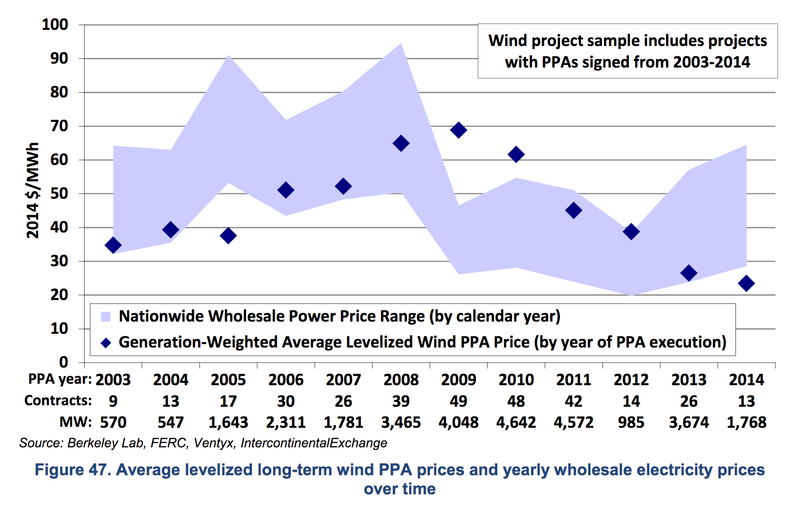 And over the next five years, one major power purchase agency forecasts that wind will continue to be as inexpensive as its wholesale market purchases from MISO. It’s terrific that so many utility customers are willing to pay more for 100% renewable electricity, but it’s also clear that supporting clean energy doesn’t necessarily require paying more, especially in the Midwest. So why do utilities like Xcel Energy still ask us to?